While I was browsing through photos of the newly-crowned Miss Universe 2014 winner Paulina Vega at the press site of the pageant after she was crowned with the title, I saw some pictures of her during the rehearsals where she kinda looks like our very own Kim Chiu. I'm not saying in close resemblance, but I do think when Paulina doesn't smile too much, doesn't show off her teeth or is not fully made up, she kinda bears a certain resemblance to our dearest Asian Disney Princess Kim Chiu. At least in these particular photos. Look! Whether they look alike or not, they both have really gorgeous faces! 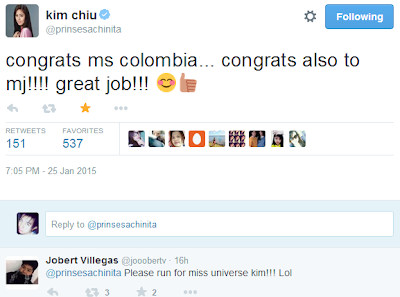 And Kim Chiu was in fact one of those celebs who tweeted her congrats after winning the title. 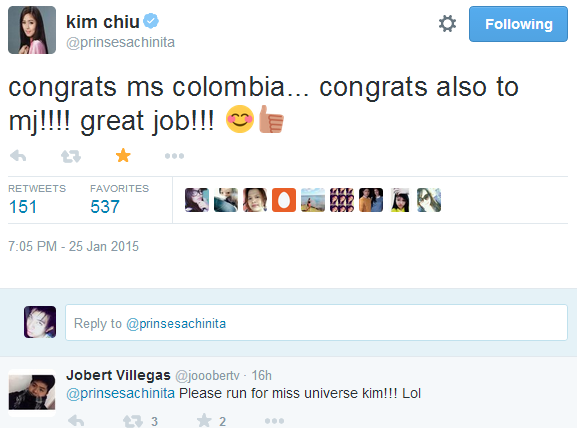 Kimmy also congratulated Miss Philippines Mary Jean Lastimosa for doing a great job (she finished in the Top 10) at the Miss Universe 2014 pageant. 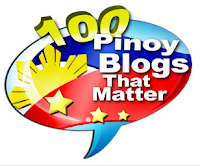 ‏@prinsesachinita: "congrats ms colombia... congrats also to mj!!!! great job!!!"